New digital printing techniques make it possible and affordable to customize interiors and spaces to changing tastes and needs of the customer. This is opening new pathways for both consumer and contract markets. Customization and personalization is playing a more important role in this than ever before. Various types of substrates can be printed digital and used in interior decoration applications, such as printable wallpaper, window graphics and printable ferro films and magnets. The Fresco wallcovering brand is designed to answer the growing demand for digital wallcoverings. Architects, interior designers, brand owners and other creatives can now integrate their own designs and customize any space according to the specifications of the customer. Interiors in restaurants, hotels, bars, museums, hospitals, etc. can be transformed into spaces to the highest level of comfort. Tack Mount Window graphics are often used only for advertising purposes, but can also be used in creative, interior decoration applications. With digital print, glass windows can be personalized to the taste of the customer. 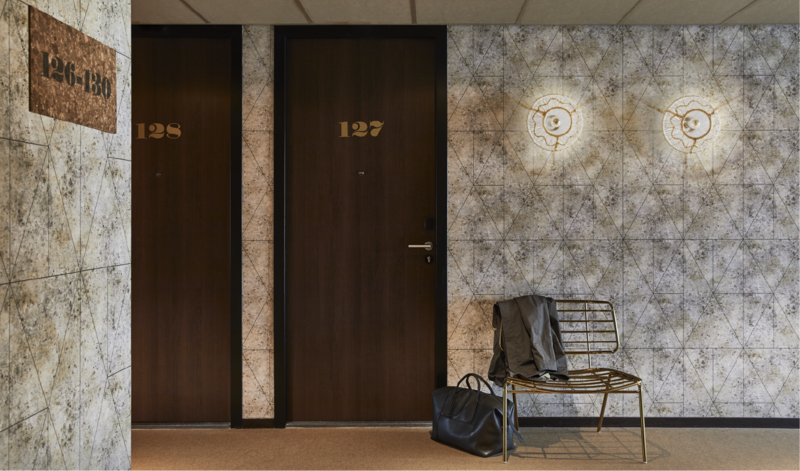 Digital Magnetics makes it possible to change moods and atmospheres in interior spaces by changing graphics quick and easy. Modern designs can be printed on ferrous films and used in combination with magnetic surfaces. Whether it is temporary or permanent, it can be changed easily and re-used time after time. An ideal solution for changing interiors. Sentec offers many interior décor solutions and is therefore one of the leading suppliers of specialist media for the large-format interior décor market. Please contact us in case you would like to know more about what we can do for your printing business.